Outsmarting Yourself is about uncovering your brain's strategies for navigating the world—strategies which sometimes help...and sometimes don't! Dr. Lehman presents evidence from scientific research, case studies, and personal experience that will convince you of the reality of "invisible" memory and your Verbal Logical Explainer (VLE), and then help you maximize their strengths while minimizing the havoc they can cause. Dr. Lehman teaches you how to leverage the things you can choose to do something about in order to overcome the problems you can't choose to change directly. 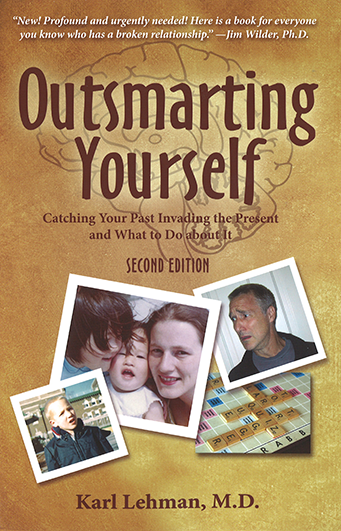 "Outsmarting Yourself" will enable you to understand the people in your world, including yourself, and give you realistic, psychologically sound, and Christ-centered tools for becoming a joyful, life-giving person with thriving relationships.